Rapid Rail was established in 1993 by founding directors, Paul Howard and Tony Sysum. Both directors have experience in all aspects of rail engineering, including installation, specialist welding, system design and supply management. Their mutual commitment to raising the quality of industry standards for Crane Rail Installation, has led to a corporate drive for continuous improvement and innovation which still inspires the company today. Rapid Rail’s continuing growth and success are testament to the company’s commitment to excellence. Quality standards are embedded into all of our systems, contracts and working relationships. Because, ultimately, human safety, client satisfaction and corporate reputation all depend on them. 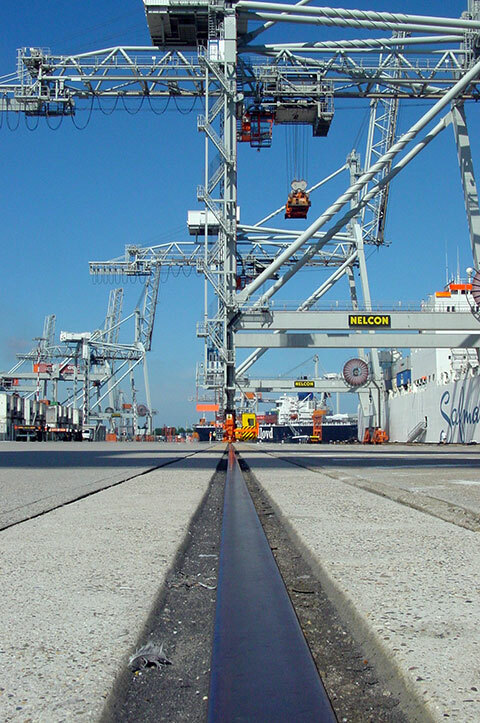 We deliver Crane Rail Installations that function reliably, delivering years of smooth, efficient operation and peace of mind for our clients. Please see our Portfolio for examples of our installations in your industry. Each project is treated as a fresh challenge, and seen as an opportunity to apply new thinking as well as the wisdom of experience. Rapid Rail recently redeveloped the Passenger Safety System, and Crane Rail Lubrication System, two elements of our service that are highly valued components of our turnkey service. In the last two decades Rapid Rail have progressed as a business and emerged as industry leaders. We have established a reputation for project quality, flexible management and reliable delivery, which is enhanced by industry and quality accolades including the Altius CDM Vendor Award, QMS OHSAS 18001 and ISO 9001. Our team, many of which have been with Rapid Rail since its inception, has proven years of hands-on experience, technical knowledge and design innovation to bring to each project. All our engineers are committed to the same company ethos of high quality and excellence, which is applied to each Crane Rail Design, installation and product selection. Only tried and tested suppliers are used to bring in specialist knowledge when required. A contract with Rapid Rail is an investment in your future.